I am scared of heights. I would have nightmares where I find myself falling in a bottomless pit and wake up in a cold sweat only to realize that it was all a dream. During my second year of camp I was the counselor of Unit 14, one of the oldest boys units, and that meant going to the Alpine Tower. As a Marine, I emphasized to my campers throughout the week the importance of stepping up to the plate and having the courage to face their fears and conquering them, which the Alpine Tower represented. My boys were excited to go to the Alpine Tower and I encouraged them, but deep down I was extremely terrified. The day came for us to go to the tower and everybody was hyped up. When we got to the tower, the mood changed. I felt the nervousness of my boys when it was time to go. When Catbug, one of the Alpine specialists, asked who wanted to go first, nobody volunteered. It was obvious that even though they were excited to be there, my boys were scared of going up the tower. As their counselor, I felt compelled to go. I decided to go up first because I wanted to conquer the tower myself, but more importantly, I wanted to inspire them to conquer their fears. I had told them of my fear of heights and my goal of conquering the tower myself, and I felt that if they saw me go up the tower that they would follow my lead. One of the things I learned from the Marines was the Latin motto Ductus Exemplo, which means lead by example. Together with my co-counselor, Dr. Pepper, we encouraged the kids to lead by example because the younger campers saw us as role models. As I went up the tower, I felt my body tighten up, rebelling against my mind, reminding it that it was not physically natural to go up the Alpine Tower. I willed myself to keep going, hold by hold, crimp by crimp, not for myself, butter my campers. I wanted to show them that anything was possible and that they can do anything they set their minds to. I made it to the top and it was exhilarating. I’ve never felt so light. But the moment faded quickly, and not because I was worried of coming down. I was worried if any of my campers were even going to get on the tower. I’m not much of an emotional man, but I secretly shed a tear for my campers when they weren’t looking. They were my pride and joy. I realized then that they saw me as a beacon of courage and strength even though I didn’t see myself as such. They didn’t see the scared and anxious Flash that had a fear of heights. They saw Flash as the guy that could do anything and everything, no matter how scary and tough the challenge may be; the guy that would not let fear conquer him, but rather, he overcomes fear. When all else fails, Flash does not, and therefore, they would succeed because I would make sure that I was there for them. I realized just how much the campers looked up to me and I promised myself that I couldn’t let them down. I had to find a way to return to UniCamp to teach the campers to become even better than they were before. That is why I decided to apply to become a CLIMB advisor. I feel that CLIMB is the perfect program where I can learn to strengthen my mind and body and in turn, I would be a better counselor for my campers. I am still deathly afraid of heights, but CLIMB is giving me an opportunity to better myself. 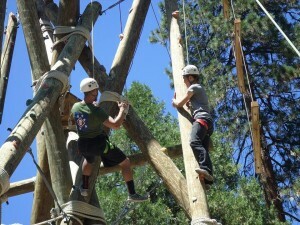 More importantly, I have a chance to teach my campers to dare and to conquer. 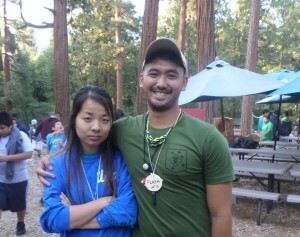 Flash is a UCLA alumnus (’15) and a CLIMB advisor (2016). Flash will be a CLIMB advisor for the 2016 camp season.